Courageous woman: Eileen O'Connor with Theresa (Cissie) McLaughlin, who became the first superior of Our Lady's Nurses for the Poor. Courageous woman: Eileen O’Connor with Theresa (Cissie) McLaughlin, who became the first superior of Our Lady’s Nurses for the Poor. THE former congregational leader for Our Lady’s Nurses for the Poor possibly “nudged” the Holy See to consider her foundress, Sydney woman Eileen O’Connor, as Australia’s next saint. Miss O’Connor, who founded Our Lady’s Nurses for the Poor, or the Brown Nurses, in 1913, was given formal recognition as a candidate for sainthood after receiving the title of Servant of God last week. Sr Clare Nolan, who is congregational leader for the Sisters of Charity and governs Our Lady’s Nurses for the Poor, said it was a “daughter” of Miss O’Connor, Sr Patricia Murphy, who helped speed up the canonisation process. Sr Murphy, who had been with Our Lady’s Nurses for the Poor for 60 years, died suddenly in Sydney on June 13 following a short illness. Her fellow sisters and Sr Nolan are certain Sr Murphy “nudged” the powers that be to advance Eileen O’Connor’s cause for canonisation. “When she went to God, she must have hurried it along,” Sr Nolan said. “Being the beautiful woman she was, she was a true daughter of Eileen O’Connor and tirelessly served the poor and marginalised in the Aboriginal community in Campbelltown. Born in the inner-Melbourne suburb of Richmond on February 19, 1892, Eileen Rosaline O’Connor suffered a crippling break in her spine at age three and lived her short life in constant nerve pain from what was later diagnosed as tuberculous osteomyelitis. The O’Connor family moved to Sydney when Miss O’Connor was 10 and despite her poor health and immense suffering, she co-founded the Our Lady’s Nurses for the Poor with local priest Missionary of the Sacred Heart Father Edward McGrath in April 1913. At the time there was no publicly funded health care available, so Miss O’Connor instructed her “daughters” to care for the sick and dying poor in their homes. 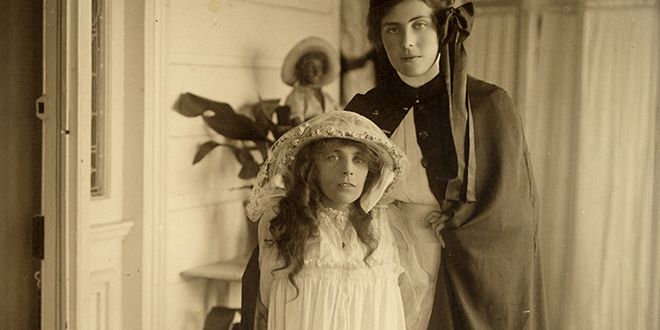 At just 115cm tall, the nurses lovingly referred to Miss O’Connor as “Little Mother”. Sr Nolan said in light of the recent push in Sydney to legalise euthanasia, Miss O’Connor’s recognition as a heroic woman in the eyes of the Church was “good news”. “This is light in the Church when there’s so much darkness,” she said. Sr Nolan said Miss O’Connor’s life was also an inspiration for young people as she died one month short of her 29nd birthday. “She was a young woman, and look at all that she achieved,” she said. Sr Nolan was present when Sydney Archbishop Anthony Fisher visited the sisters on August 17 to tell them the news in person and pray at Miss O’Connor’s tomb. Archbishop Fisher began the official process to the beatification of Eileen O’Connor in March, appointing Rome-based priest Fr Anthony Robbie as postulator, the person who guides the rigorous process for beatification or canonisation. “Eileen’s was a life of immense suffering and, judged by today’s standards, many would have viewed it as lacking in dignity, value or hope,” Archbishop Fisher said. Eileen O’Connor project leader Our Lady’s Nurses for the Poor Sister Margaret Mary Birgan praised God for the news of her founder’s advancement to Servant of God. “This is wonderful news and my sister companions and I are extremely happy that Eileen has been recognised in this way,” Sr Birgan said. Miss O’Connor died in 1921, several years before her order was officially recognised as a diocesan congregation.